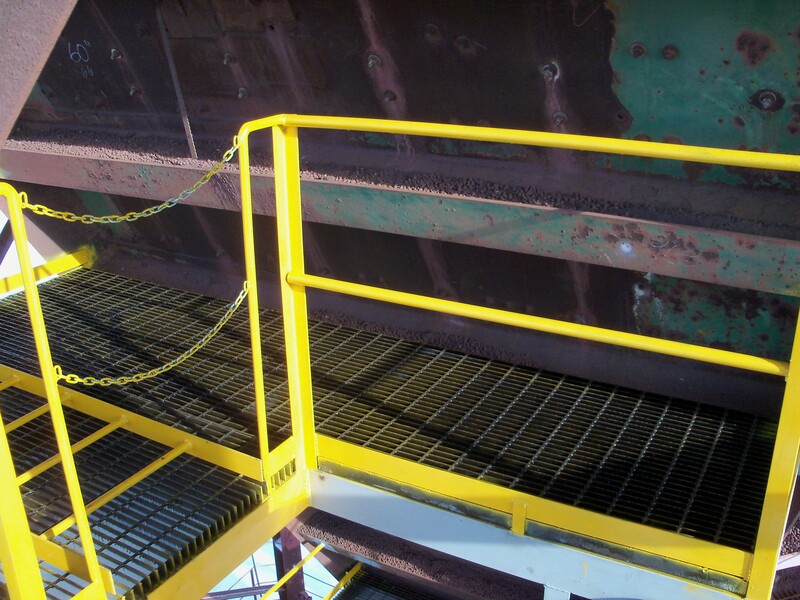 The customer requested new platforms to improve the speed and safety of maintenance repair work on the iron ore dock surge bin. 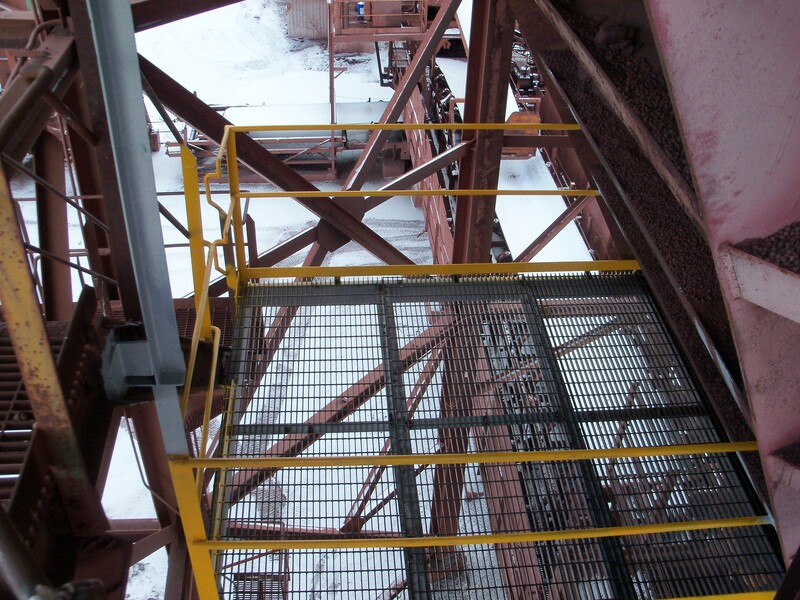 Two new platforms were designed to fit the existing framework. 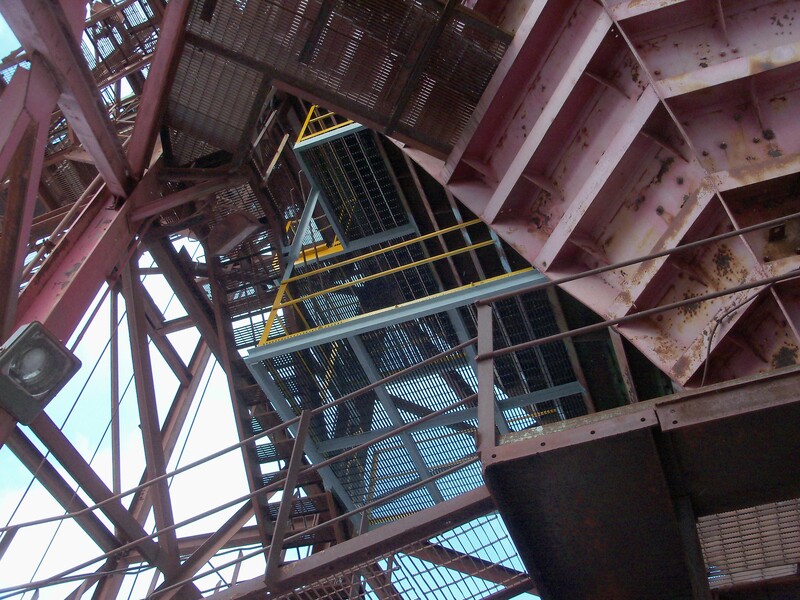 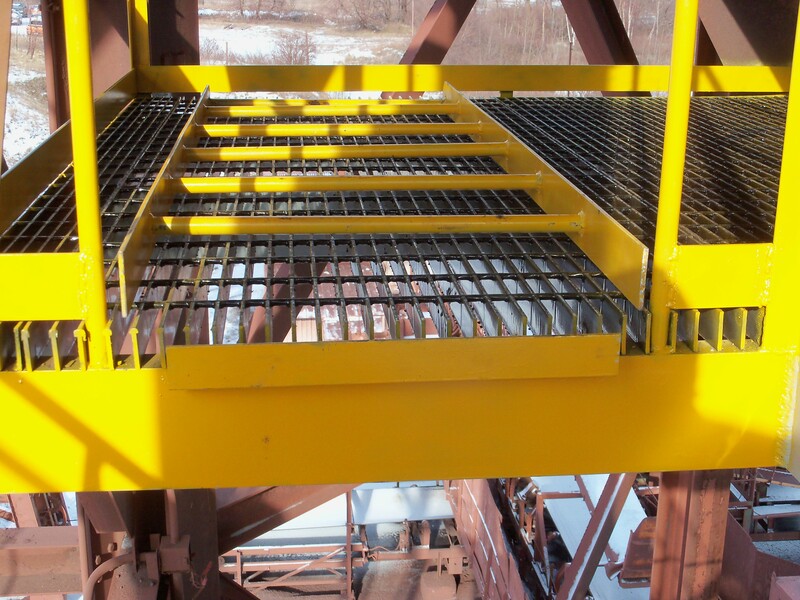 IMS engineers designed the structures to meet the specifications provided by the customer. 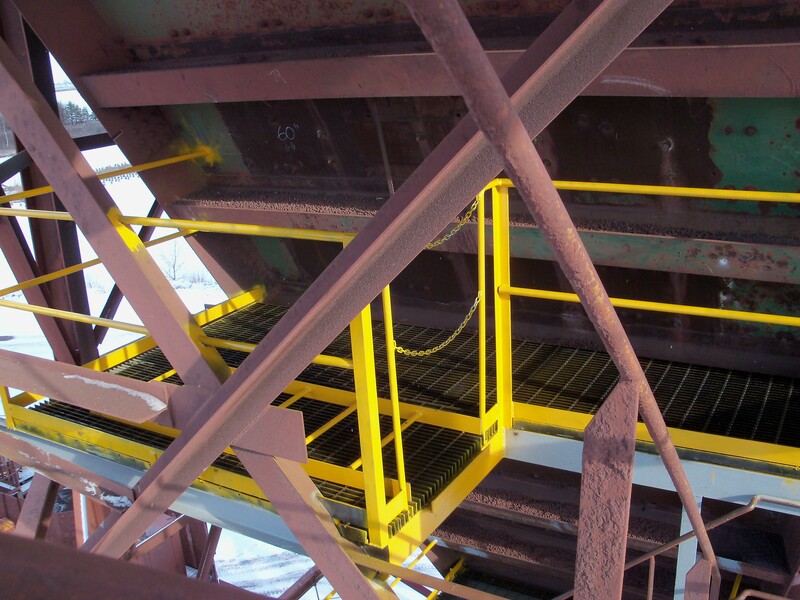 The finished product featured a much higher load limit for repair equipment and personnel, and complies with all required safety standards.